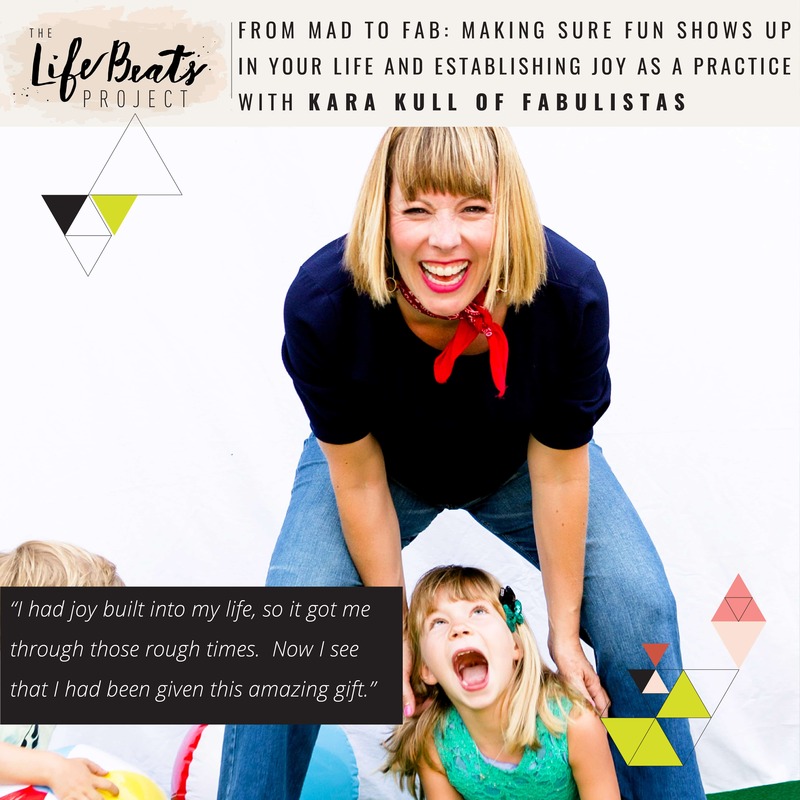 Kara Kull will have you laughing out loud and feeling refreshed with easy ideas on finding joy and fun in your own life and with your children in today’s podcast episode. She is the sequin and hightops behind Fabulistas and HowFab and one of those people that things just happen to, like your car window exploding at a stoplight or your necklace getting caught in your tights while you are on stage giving a speech. Today she shares how she has battled with what she calls ‘big emotions’ including anger and depression and her long journey on learning to become more in control of these emotions to become a happy and fun person and mom. She breaks her journey down into 4 phases and shares what each one looked like and how she progressed in each one. Kara shares those things that have helped her to manage her emotions including naming the emotion, setting alarms, and finding a job that fit who she was-and boy she has had every job under the sun! She shares how she struggled with feeling like it was ok to be who she really was and that what she is really good at is knowing how to have fun and that is meaningful. She has dedicated her life to helping other moms to make sure fun shows up in their own life and with their kids as well as making having joy in their lives a practice. She shares lots of simple ideas that can be implemented immediately that will save your sanity and help you to be the fun mom you’ve always wanted to be. Be prepared to laugh and feel empowered. Then hop on over to Instagram @lifebeatsproject for a chance to win one of the five dresses we are giving away. Look for the giveaway post of the girls and I in our Shabby Apple dresses for the details on how to enter! The giveaway will run from Wed Sept 14th at 10am MST to Sat Sept 17th at 10 am. Want to know if this episode it for you? This episode is perfect for someone who wants to incorporate more fun in their life and their life with their children. This episode is for someone who may struggle with anger, depression, or anxiety and wants to learn how to better manage those emotions in their life, as well as learning how to accept who you are and your own personal gifts. It is also just right for a mom looking for lots of simple fun ideas to do with their kids. And it is especially for someone is looking for a good laugh!